I love it. It smells beautiful on me I receive many compliments in a day. I will continue to purchase this oil. I wish they had samples of the others.I give this five stars. 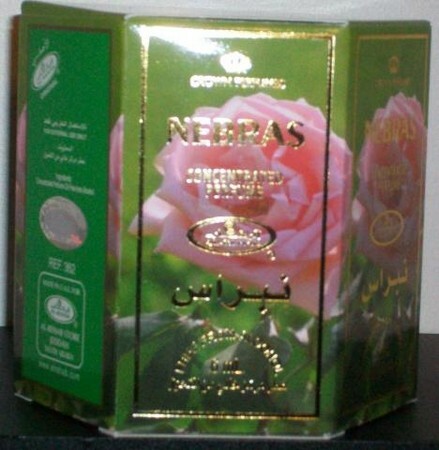 Nebras is such a gorgeous warm floral, I love it, sometimes just before bed, I put some on and it transports me to exotic realms surrounded by flowing sands and ancient beauty. this is a high quality oil, it has longer lasting power than many expensive perfumes, I doubt I can go back to commercial brands when Arabic oils are so gorgeous and long lasting. I had to get the 6 pack after I used up the 6ml in a few days. 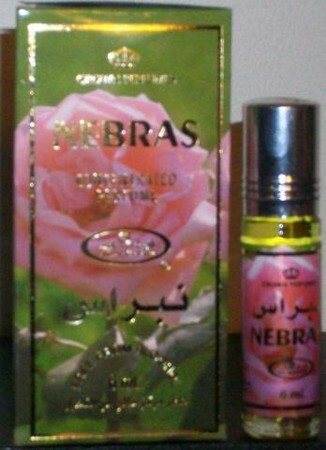 Nebras is a sophisticated,elegant perfume oil which is long lasting.I always get compliments every time I wear it. Very fast service and postage . Thank you for the great service. I bought this box of six perfumes to give away as gifts. The scent nebras is a lovely rose & citrus scent. The oil is very potent so a little goes a long way. It smells very expensive and this is such a value. All the people who received it loved the scent. This is hands down the best perfume available in the market.... Well, as far as I'm concerned.It is complex, clean,feminine and very sophisticated. I have received many complements. Excellent quality and staying power.